“If you want to have native like knowledge of English grammar you should start by about 10 years old. We don’t see very much difference between people who start at birth and people who start at 10, but we start seeing a decline after that,” says Joshua Hartshorne ( right) an assistant professor of psychology at Boston College, who conducted this study as a postdoc at MIT. 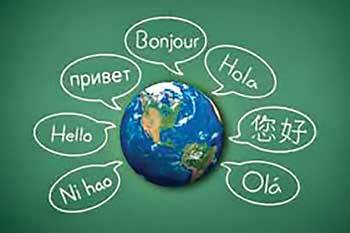 People who start learning a language between 10 and 18 will still learn quickly, but since they have a shorter window before their learning ability declines, they do not achieve the proficiency of native speakers the researchers found. The findings are based on an analysis of a grammar quiz taken by nearly 670,000 people, which is by far the largest dataset that anyone has assembled for a study of language learning ability. Steven Pinker, a professor of psychology at Harvard University, is also an author of the paper which appears in the journal Cognition on May 1. 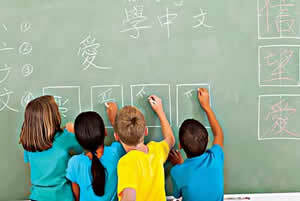 While it’s typical for children to pick up languages more easily than adults — a phenomenon often seen in families that immigrate to a new country — this trend has been difficult to study in a laboratory setting. Researchers who brought adults and children into a lab, taught them some new elements of language, and then tested them, found that adults were actually better at learning under those conditions. Such studies likely do not accurately replicate the process of long term learning, Hartshorne says. “Whatever it is that results in what we see in day to day life with adults having difficulty in fully acquiring the language, it happens over a really long timescale,” he says. Following people as they learn a language over many years is difficult and time consuming, so the researchers came up with a different approach. They decided to take snapshots of hundreds of thousands of people who were in different stages of learning English. By measuring the grammatical ability of many people of different ages, who started learning English at different points in their life, they could get enough data to come to some meaningful conclusions. After taking the quiz, users were asked to reveal their current age and the age at which they began learning English, as well as other information about their language background. The researchers ended up with complete data for 669,498 people.Once they had this huge amount of data, they had to figure out how to analyze it. “We had to tease apart how many years has someone been studying this language, when they started speaking it, and what kind of exposure have they been getting: Were they learning in a class or were they immigrants to an English speaking country?” Hartshorne says. data is that grammar learning ability remains strong until age 17 or 18, at which point it drops. The findings suggest that the critical period for learning language is much longer than cognitive scientists had previously thought.